A stream of shimmering sunlight hits the Vltava River running through the centre of Prague. Reflections of medieval buildings shimmer along the riverbank on the new town side of the city. There are 17 bridges in Prague and the pedestrian Charles Bridge is the most famous and popular. The river separates the old town from the new. For that picture-perfect shot you have to get up before sunrise. This is when the bridge is nearly free from pedestrians, come mid-morning you will be fighting for space with the crowds of day-trippers. After that perfect photo opportunity head towards John Lennon wall. The wall contains Beatles lyrics and John Lennon inspired graffiti. A few steps further and you can enjoy a cold beer or a meal in the John Lennon pub. 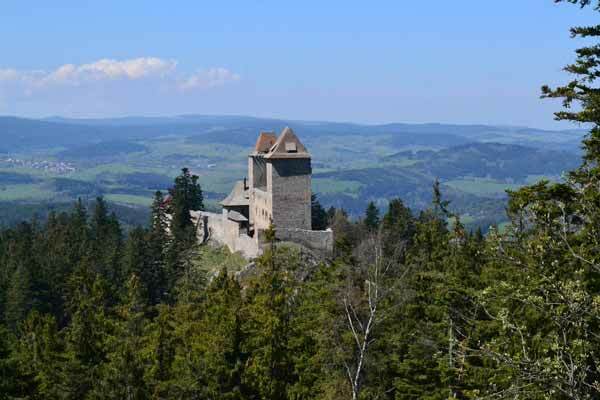 One of our ‘roving retiree’ adventures was to spend a month in the Czech Republic. Prague was our starting and ending point. We travelled the length and breadth of this small European country enjoying local cuisine, spas, fairy-tale castles and its picture-perfect landscapes. The Czech Republic did not disappoint. Since 1989 it has come out of the dark days of communism and has not looked back. We were blown away by Prague’s architecture. Modern buildings take pride of place beside medieval structures. 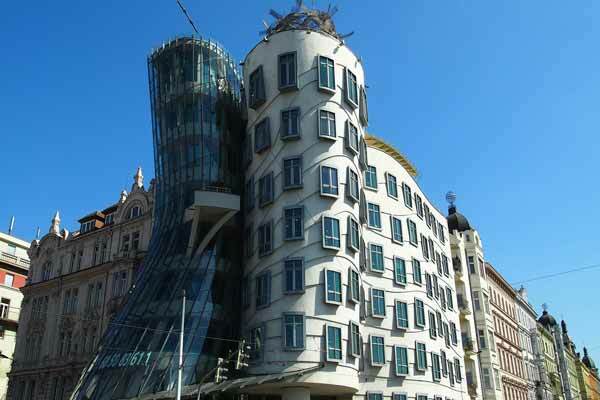 The Dancing House, also known as the Ginger and Fred building, is unique; you could even say peculiar piece of architecture fronting the river. According to The Guinness Book of Records, Prague Castle is the largest castle complex in the world measuring 70,000 square metres. 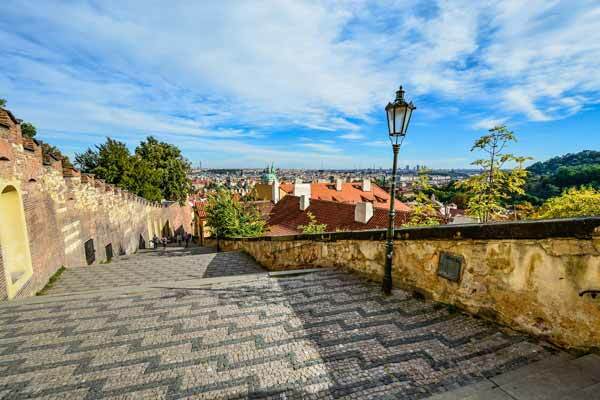 The Castle dominates the skyline of Prague; you cannot miss its grandeur from afar. The views are spectacular from its fortified walls and landscaped gardens. The best views of the old town are from the top of the Old City Hall Tower. 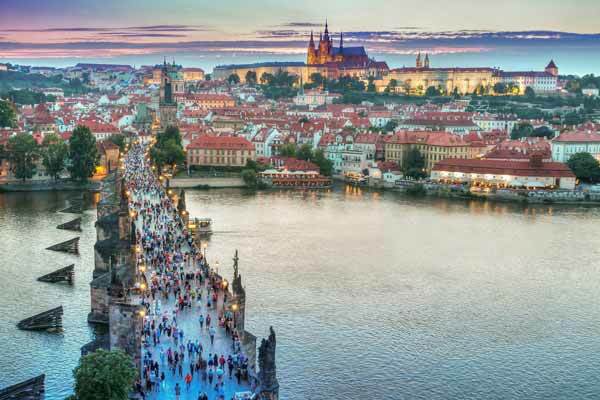 Our travel tip for Prague is to book the hop-on, hop-off bus for two days, which includes a free walking tour of the Castle (with tips) and a one-hour boat ride on the Vltava River. You can purchase tickets online for approximately $47 per person. If you have time a walking tour of the old town is highly recommended. They say the romantic city of spires is best seen on foot and we can agree. Some parts of the old city and its old-world charm can only be accessed by foot. There are 280 museums in Prague. Some are quite unusual such as toilets, beer and gingerbread. Whatever you are interested in there will be a museum for you. The Czech Republic is famous for its beer. For a couple of dollars, you can drink some of the best beer in the world. Prices of beer can vary depending on which area you are visiting. The more popular with tourists the area is, the higher the price you will pay. Head towards the back streets for a more local experience and cheaper prices. Sunset is a perfect time to head to the riverfront and enjoy a sundowner—a Czech beer of course before you head out to one of the many local restaurants. For delectable local dining experiences, you can try award-winning restaurants both sides of the river. If you’re a meat eater the famous local dish is the pork knuckle. 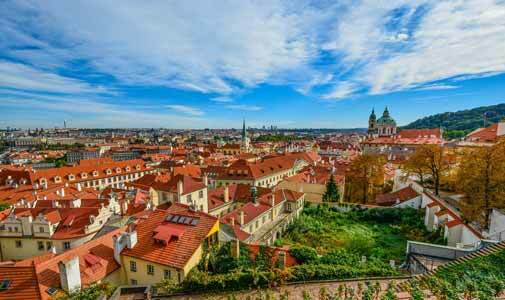 Prague is a real gem of a destination. A city that has something to offer everyone. It’s certainly won a place in our hearts.